The Association was formed on 20 August 1901 at a meeting in Lanark to promote the interests of the breed. This website aims to provide information about the breed, contact details for the various branches throughout the UK, details of sales, Blackface lamb markets, and up to date information on the activities of the Association. 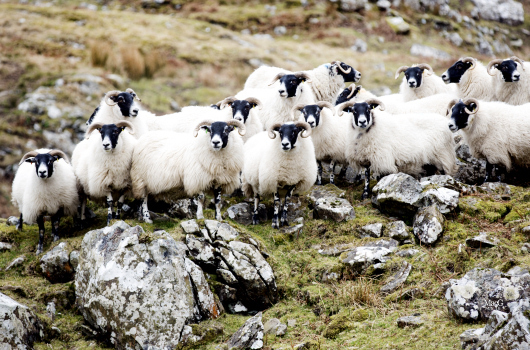 The Blackface breed is the most numerous breed in Britain accounting for over 1.7 million ewes, representing 11% of the British pure-bred flock (source: 2003 breed survey). The vast majority are found in Scotland. The outstanding qualities of the breed are survivability, adaptability and versatility, with the ability to fit into any farming situation. They are one of the hardiest sheep breeds in the country and are the backbone of the Scottish sheep industry. Please visit our news section for a full list of all current news items. Please visit our Sales and Shows section for details of all forthcoming events.